From the day you are baptized, you are called to embark upon a journey of faith with Christ. Early Christians sought to literally follow in the footsteps of Jesus by traveling to sacred sites that were part of His life and ministry. Christians continue this tradition today by making pilgrimages – or spiritual journeys – to holy places connected with Jesus, apparitions of the Blessed Mother or the lives of the saints. It is an opportunity to pray and meditate, grow in faith and seek God in every encounter. Some pilgrims undertake these spiritual journeys to learn more about their faith, to ask God for a particular intention, perhaps a conversion of heart, or in thanksgiving for a favor granted. For others, it is a time of sacrifice and penance. Early Christian pilgrims would take the risk of leaving the comfort and security of their homes to make this sacred journey on foot, often walking hundreds of miles with nothing but what they could carry on their backs. They often traveled in groups for security, but this also gave them the chance to discover God in each other. Modern-day pilgrims still travel in groups, not so much for safety reasons, but for the sense of family and community that comes from sharing a common belief and experience of faith. A pilgrimage is not a vacation nor a guided tour. While there may be occasions for cultural experiences and sightseeing, the main activities are spiritual in nature. Led by a spiritual director, days are rooted in prayer and visits to sites and cities of religious significance. There are opportunities for daily Mass, confession and personal sacrifice, as well as ample time to get to know fellow travelers both on the journey and while breaking bread. The destination may be halfway around the world or as close as a walk to a neighboring shrine church; it can be a one-day trip, several days or weeks, or last even longer. Pilgrims go when and where they feel God calling them to be closer to Him. Popular pilgrimage sites include the places of Jesus’ life, ministry and crucifixion in Holy Land; places of Marian apparitions in Fatima, Lourdes, Spain and Mexico; sites in Italy linked to the foundation of the Catholic Church; places related to the life of St. Paul in Turkey and Greece, and shrines of saints in Poland and France. Other destinations include Santiago de Compostela in Spain, Oberammergau in Germany and Canterbury in England. The Diocese of Brooklyn partners with several tour companies to arrange pilgrimage opportunities for the faithful a few times a year. Local pilgrims have recently returned from the World Meeting of Families in Ireland where they visited the Shrine of Our Lady of Knock and attended Mass celebrated by Pope Francis. Brooklyn and Queens pilgrims are now gearing up for a diocesan pilgrimage to the National Shrine of the Immaculate Conception in Washington, D.C., Oct. 27. Bishop Nicholas DiMarzio leads this biannual event. Pilgrims can sign up though their parish or deanery coordinator. In January, young people from Brooklyn and Queens will meet peers from around the world when they head to Panama for World Youth Day in response to the Holy Father’s call to come together to celebrate and grow in their faith. 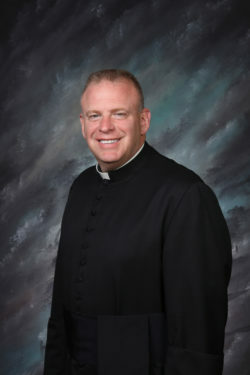 An exciting opportunity is coming up next Lent when Auxiliary Bishop Neil Tiedemann, C.P., and Msgr. Kieran Harrington will lead a pilgrimage to the Holy Land, March 7-15. There are only a few seats left. Contact Prestige Worldwide Tours, 1-866-293-0982 or samantha@pwwtours.com for package details and prices. Other upcoming pilgrimages include The Passion Play and pilgrimage to Oberammergau, Germany, and Austria in May 2020. To sign up for the advanced registration list, call Peter’s Way Tours, 1-800-225-7662. An advanced registration list is also available for the International Eucharistic Congress, set for 2020 in Budapest, with travel options to sites in Vienna and Prague. To register, call Regina Tours at 1-800-Catholic. Wherever God calls you on this journey of life, trust that your path is guided by God, and open your heart and mind to whatever He has in store for you.